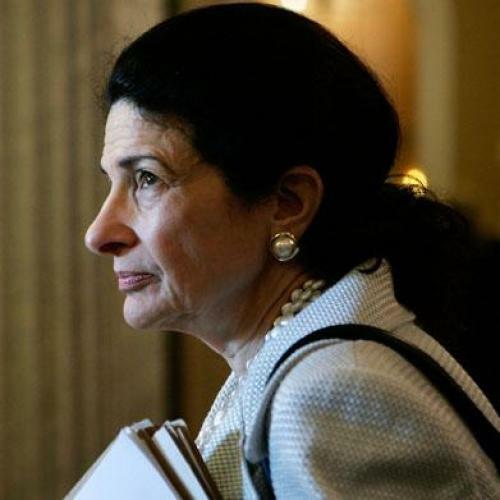 What Does Olympia Snowe Want? Given Mike Enzi’s departure from the bipartisan talks and the imminent collapse of the Gang of Six, it looks like there’s just one Republican Senator still willing to negotiate seriously with the Democrats—Olympia Snowe. Even if the leadership decides to take a more partisan route for the bill, Snowe is sometimes more liberal than the right flank of the Democratic Party, and her vote could still be critical to reform’s survival. But what does she really want out of the current bill? And is she in a place where she can still see eye-to-eye with the Democratic leadership? —Wants financing for the bill to come from within the health care system. Snowe apparently wants to finance the bill from “within the health care system,” according to one source, and expects much of the savings to come from industry groups and cost-savings measures within the system. But for meaningful reform to happen, more money will probably have to be put on the table--and the means for doing so might not be to Snowe’s liking. Back in May, she spoke out against putting a cap on the tax exclusion of employer-sponsored benefits, opposing a significant potential revenue stream for the bill. Altogether, it’s still unclear whether she will support taxing individuals—either within or outside the system—to pay for the bill. —Supports a reduction of the minimum benefits that all insurance policies would have to provide. The “actuarial standard” basically means the percentage of medical bills that insurance would have to cover. The HELP bill set this at 75%, while Snowe seems inclined to support something closer to 65%. According to my sources, it’s partly because Snowe thinks this is less of a priority for the public—they don’t understand this provision very well and are more concerned about, say, the high cost of insurance premiums. And plans that provide fewer benefits are bound to cost less. —Willing to consider having larger businesses participate in the Health Insurance Exchange. Right now, only small businesses would be eligible to participate in the exchange, which could limit its cost-saving potential. Snowe is interested in exploring whether businesses with more than 50 employees could participate--a move that could ultimately strengthen the exchanges by attracting a larger, and more medically diverse, group of people. —Wants to protect older people from undue price discrimination by insurance companies. Right now, insurance companies in certain states charge exorbitantly higher premiums for older patients—the HELP/House bill stipulate that they can only vary by a factor of 2, but Enzi wanted to push it to 5. On this issue, Snowe appears to be on the more liberal end of the spectrum, though she doesn’t expect the rating to remain as low as 2. —Opposes reconciliation because of the detrimental impact it would have on reform. It’s no surprise that Snowe opposes reconciliation, but her apparent rationale is telling: it’s not just because of its political significance, but also because it could only be applied to part of the current bill. Snowe shares the fears of some members of the liberal, pro-reform camp that doing this could significantly curtail the impact of reform. Altogether, these positions put Snowe to the right of many if not most Democrats. But not that far to the right. In other words, she appears to be negotiating in good faith—and her interest in passing reform seems genuine. That sets her apart from the rest of the Republican Caucus—and makes her somebody with whom Democrats can, and should, keep talking.